US, South Korea confirm suspending military drills – Royal Times of Nigeria. 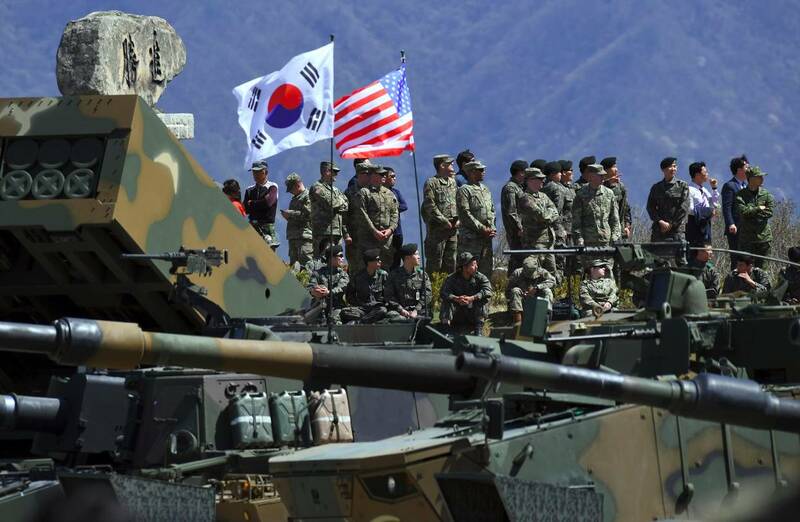 US and South Korean officials confirmed Tuesday the suspension of scheduled joint military drills, making good on a pledge by President Donald Trump during his summit with North Korea’s leader. “We are still coordinating additional actions. No decisions on subsequent war games have been made,” Pentagon spokeswoman Dana White said in confirming the suspension. White said US Defence Secretary Jim Mattis, Secretary of State Mike Pompeo and National Security Advisor John Bolton would meet later this week at the Pentagon to discuss the issue. Last week, Trump made the surprise announcement that the US would halt “war games” with its South Korean security ally — without making clear when the freeze would begin.